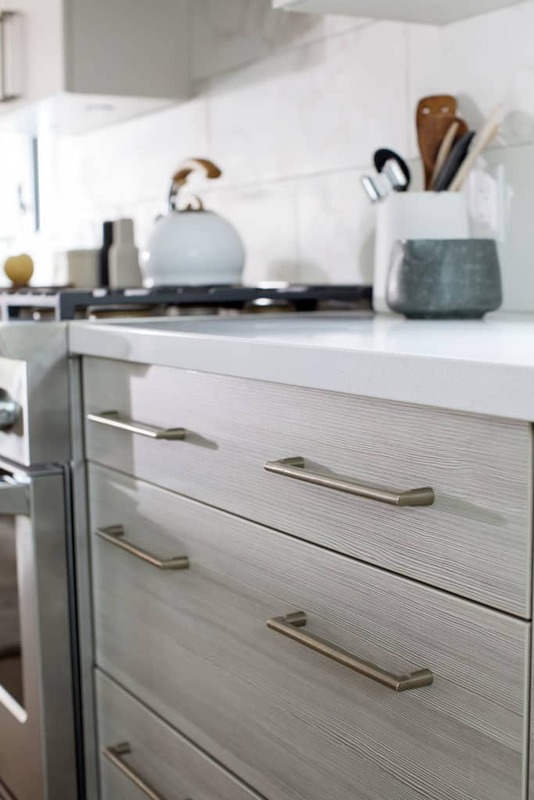 Linda & Chris | Love It or List It Galleries | Merit Kitchens Ltd.
Linda and Chris, along with their two teenage daughters, were desperate for a home makeover. This active family of four were living in a home with a chopped-up floor plan and not enough living space to accommodate everyone’s needs. 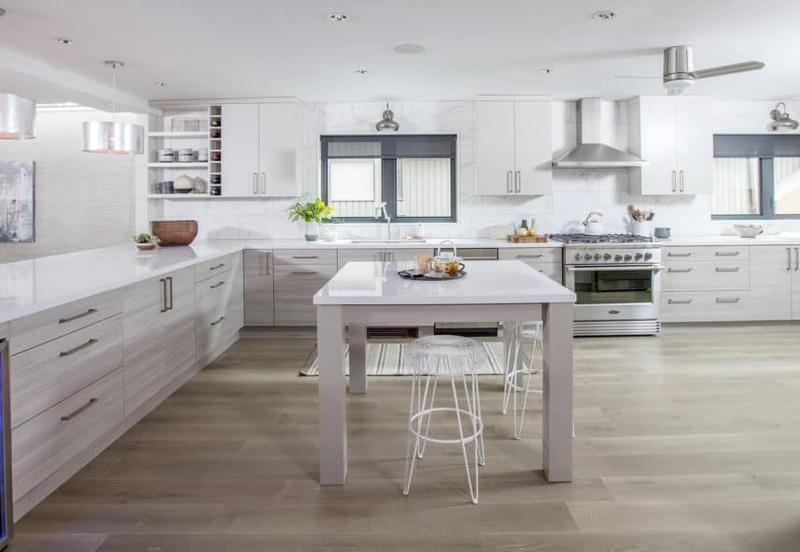 Designer Jillian Harris was tasked with opening the layout and creating a functional space the entire family would enjoy. The open-concept layout dramatically improves traffic flow and functionality. The extra-large kitchen transforms the cooking space into the heart of this home. 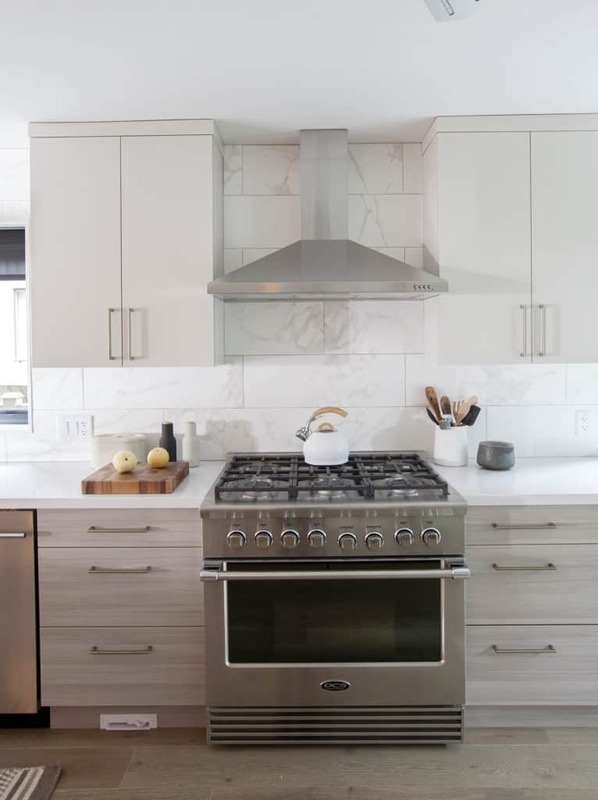 The kitchen features doubled-up on cabinetry and an island that provides an additional prep surface. 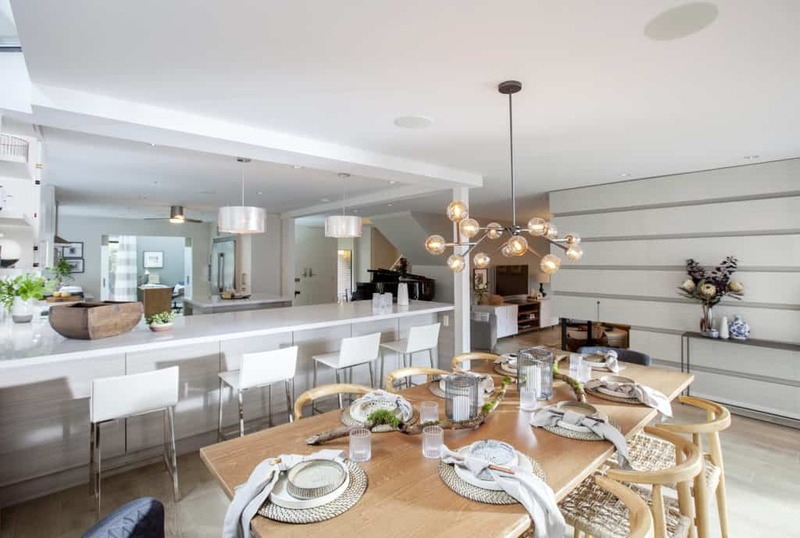 The kitchen naturally flows into the dining room because of the open-concept design and a textured feature wall connecting both spaces.